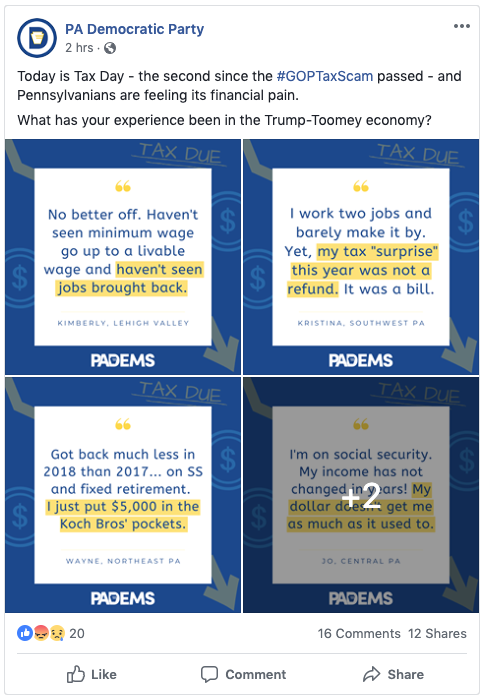 In 2017, Donald Trump and Pat Toomey knowingly sold Pennsylvania snake-oil. 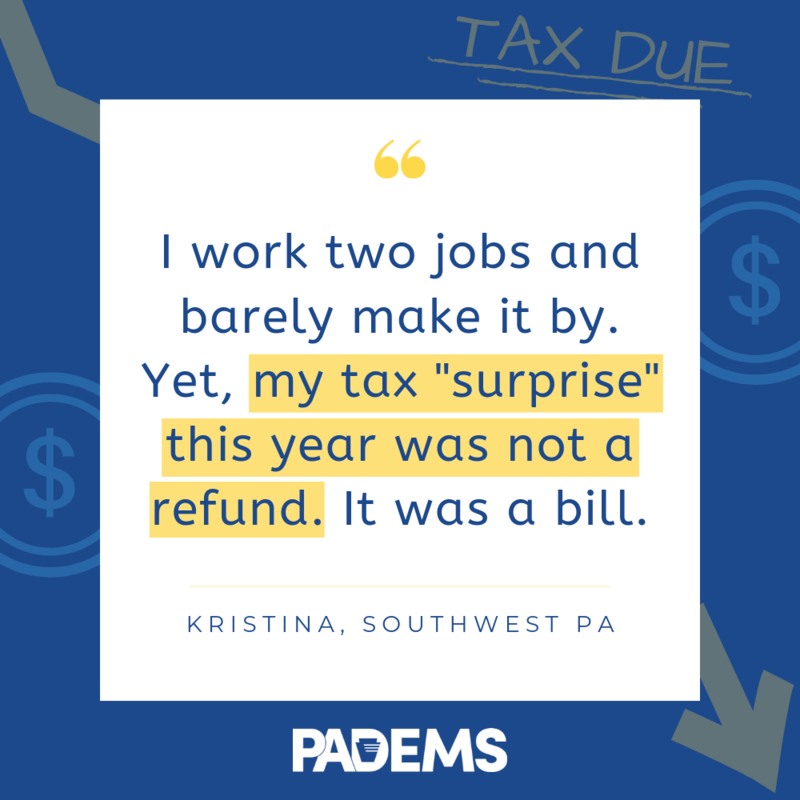 The tax cuts they swore would revitalize the middle-class have delivered nothing but a windfall for their ultra-wealthy patrons. 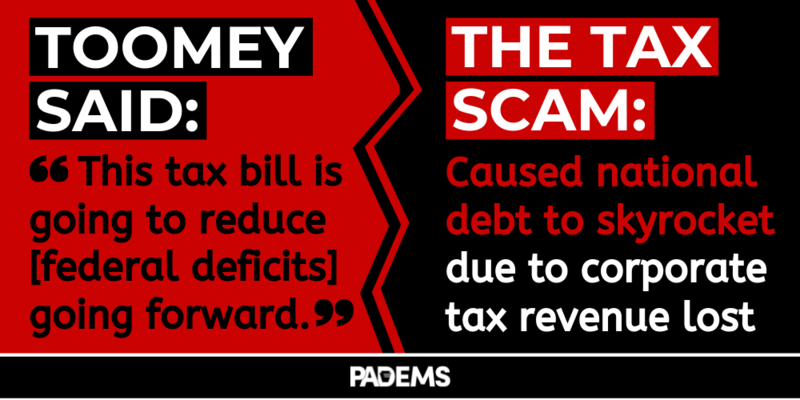 Help expose their Tax Scam on Tax Day by sharing these tweets, articles, and graphics on social media! 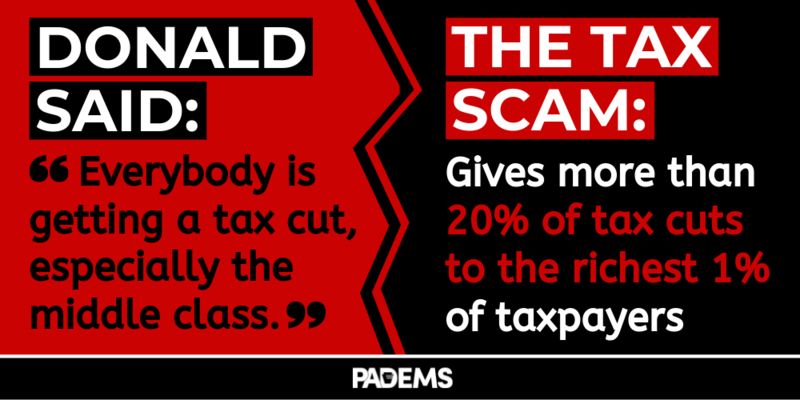 The goal of the #GOPTaxScam is singular: make Republicans’ rich donors richer, at the expense of everyone else. 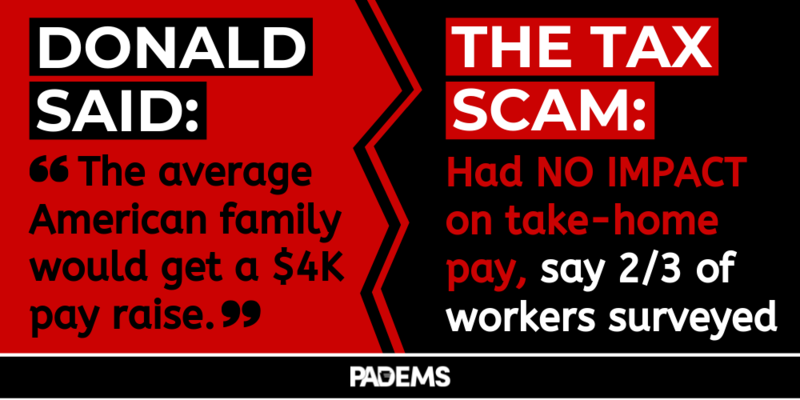 🚫 Manufacturers closed plants to ship jobs overseas. 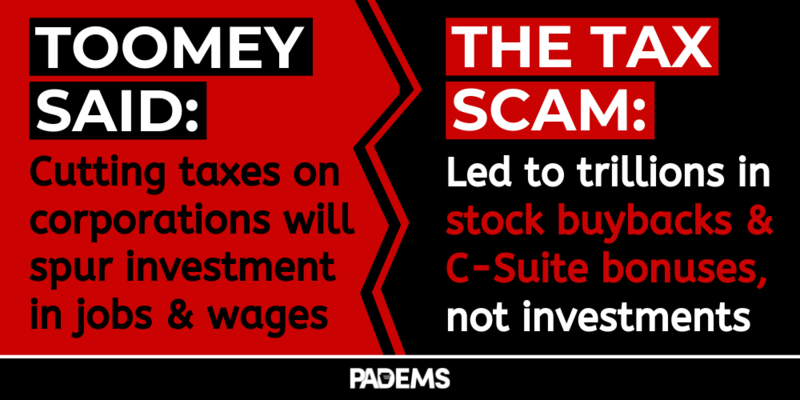 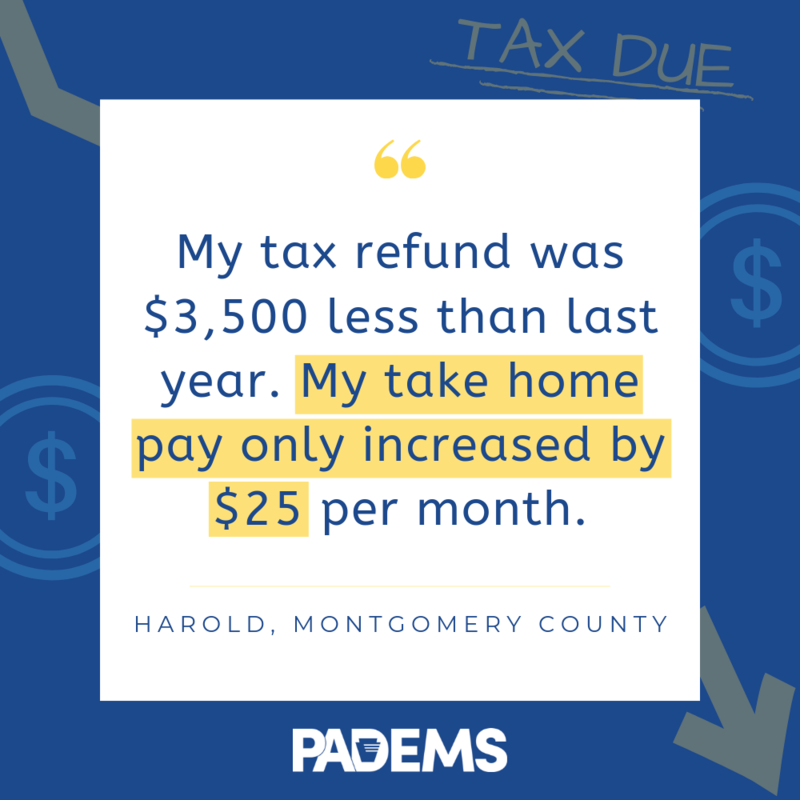 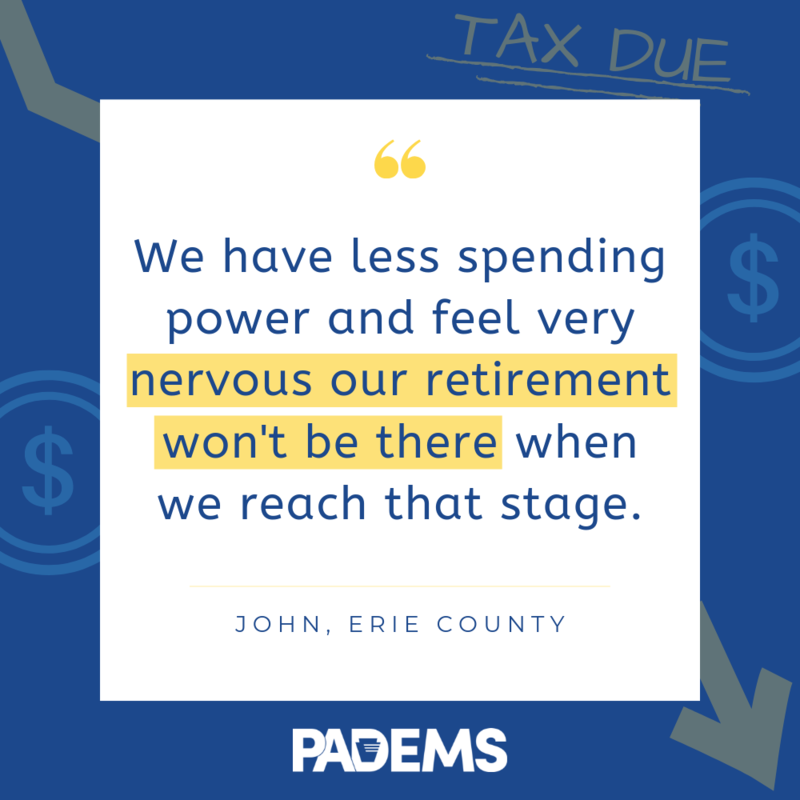 🚫 Big corporations paid zero in taxes while ordinary, hard-working people got slapped with a tax hike. 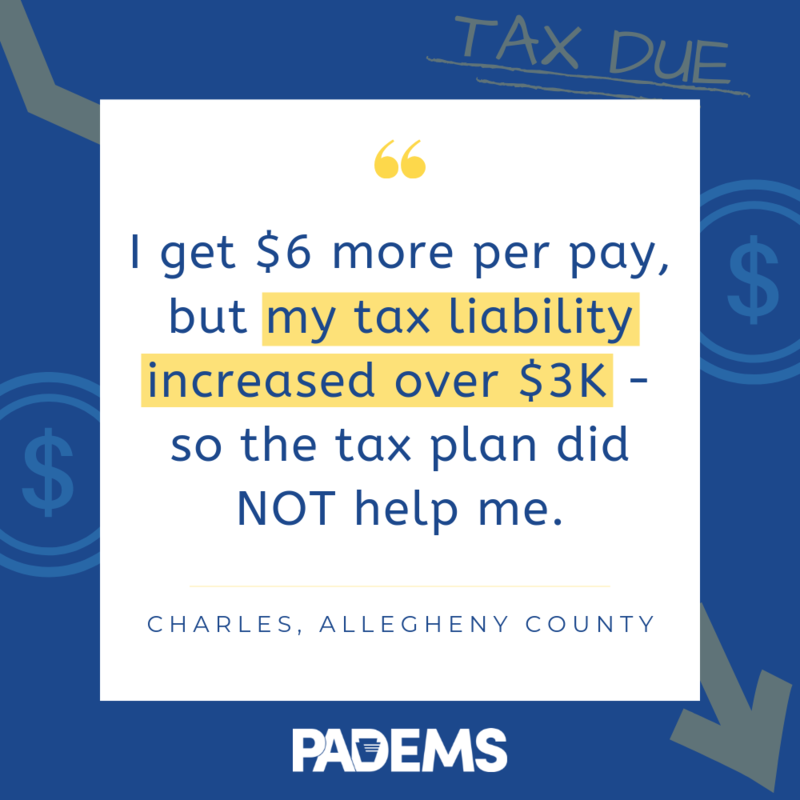 Think we missed a great piece on the tax scam? 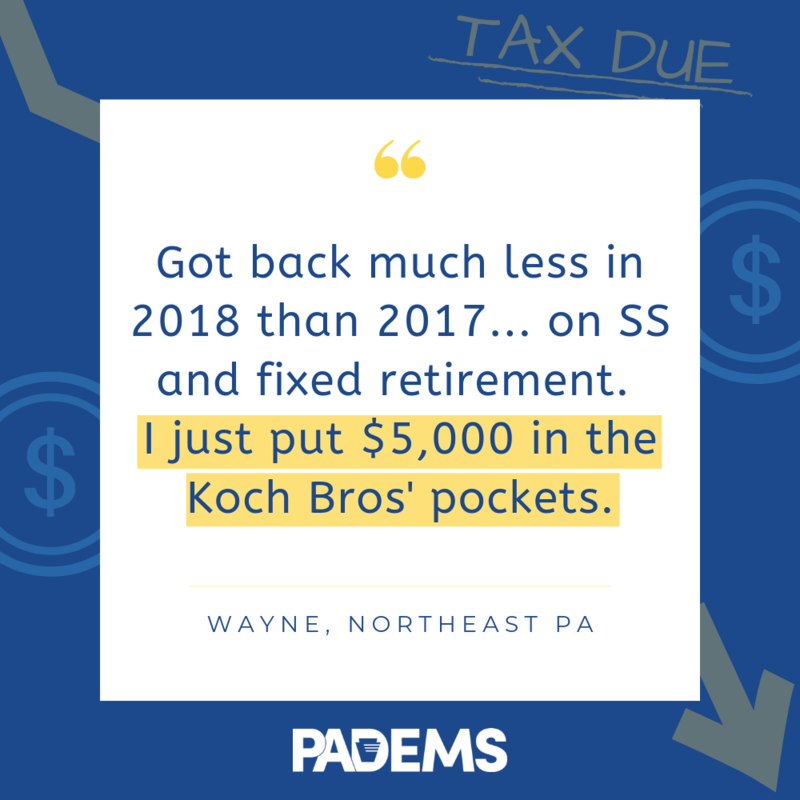 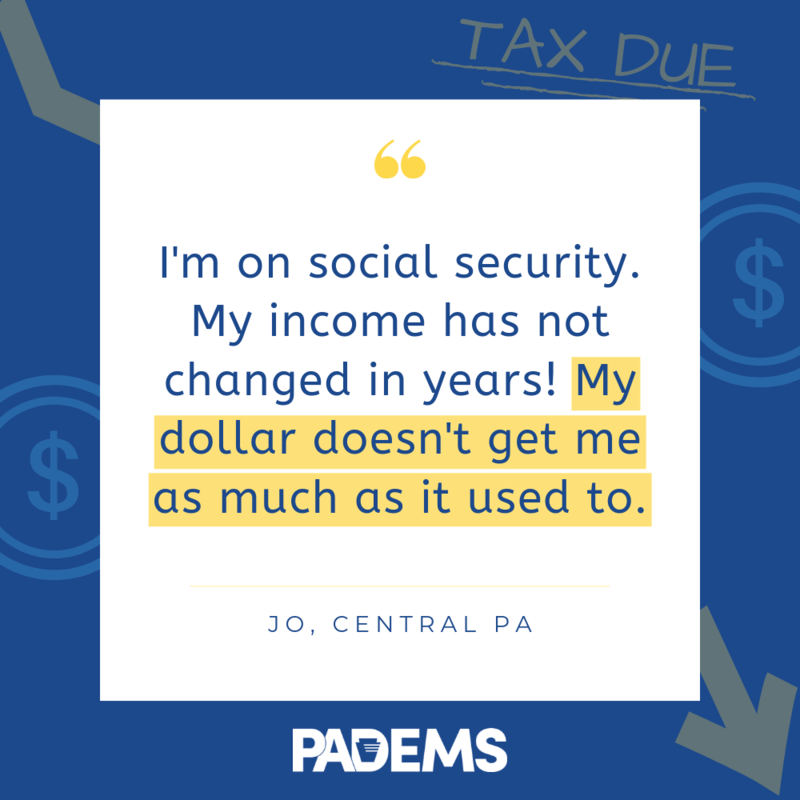 Send it to us at @PADems!